Jackie & Grace met in 1961 when Monaco's royal couple visited the White House. At the time they were two of the most celebrated names in fashion, though, in my opinion the face-to-face was neither of their best moments. 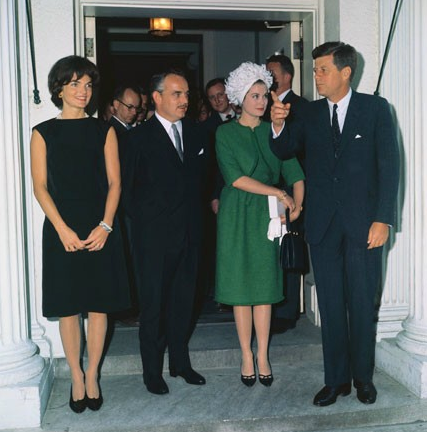 Grace wore a kelly green wool Givenchy number and a Jean Barthet turban. I don't know who designed Jackie's black shift dress, but it may have been Oleg Cassini, who fashioned much of her White House look and, scandalously, who dated Grace before she met Prince Rainier of Monaco. Though I ended up with an English gentleman, my first love was a woman. Two women actually. I was young and impressionable, they were beautiful and worldly and the vestiges of our love triangle color my closet to this day. Jackie or Grace. I don’t remember who captured my attention first. Jackie, whose Camelot days embodied All-American exuberance before life wore it away, revealing something much more magnetic—the enigmatic aura only dark-haired beauties can pull off. 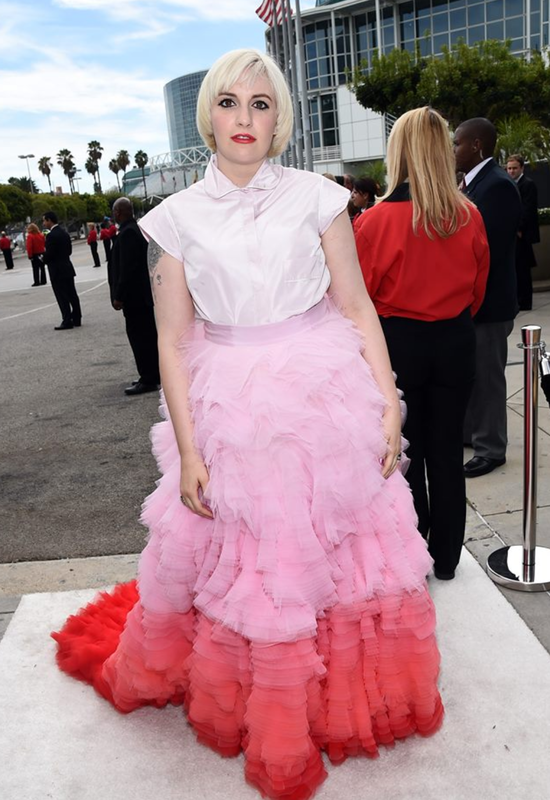 Or, Grace, literally a fairy-tale princess, whose blonde, icy beauty oozed a glamour and euro-chic that was out of reach for my auburn-haired self. Falling in love with them, I fell in love with fashion. Studying their lives, I studied history, art and culture. Chasing their ghosts around the world, I chased style. And, along the way I developed my own. This blog is my spin on style, shared with you all. I hope you enjoy.